A Research Project and Book by Inge S. Horton - womenarchitectss jimdo page! 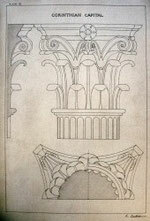 Student drawing by architect Ella Castelhun (courtesy of Scott Trimble). in architecture who started their practice before 1950. I do not work on residential remodeling or construction projects.